“Power balls”. Create simple gift for yourself or your climbing friend. Once I've already shown training wall for crimp climbing in the car made by myself. Here is the next do-it-yourself tip. Long time ago I was in IKEA and saw there a candlestick. I immediately wanted to take it into hands. The moment I realized that I could remove the bottom, I saw in it sport equipment. 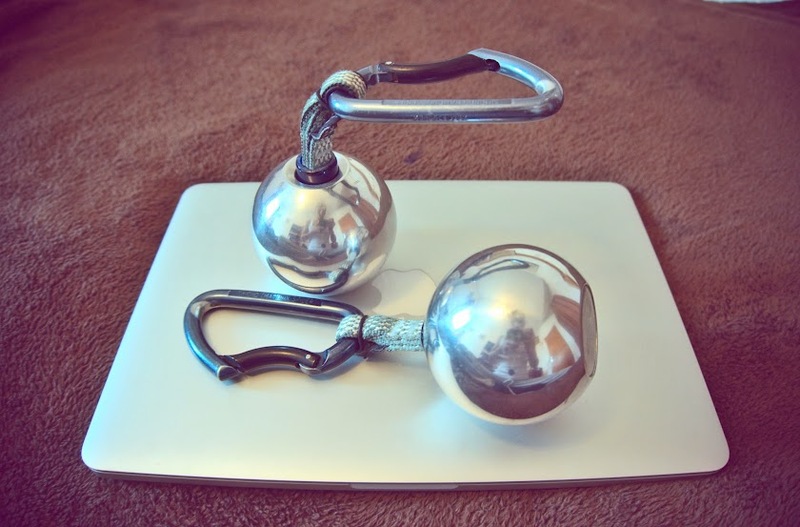 All you need is 2 candlesticks, 2 quick draws, piece of the rope. 1) Remove bottoms from the candlesticks. 2) Remove one carabiner from each quick draw. Insert the loops into candlesticks. 3) Use piece of the rope to fix loops inside candlesticks. Put the bottoms into candlesticks. The balls are very slippery. You need a lot of power to hang on them. You can always make it sharper by sandpaper. Candlesticks are made from aluminum and it is easy to work with. Make your favorite work with pleasure, climb with pleasure! Last year I was testing prototype of Salewa jeans, so I was wearing them all year. This year I received final sample. I’m very pleased with the material, stylish design and emphasized features. This place is filled with heart, so next year I also came there. From that moment on I made friends with Julia and Tomaz, the owners of the Mama House. They kindly give me small room and follow my successes. They always enlarge their Mama House. Of course, you can enlarge the place forever; especially if it brings you joy. The life goes on in hard work. I felled in love with Slovenia. Inspiration often comes to me in this small village. I need 20-30 min to get to the training hall in Skifja Loka. The road is scenic in summer and winter. First time I’m here in winter. I took my skis with me since I knew that skiing resort Krvavec is nearby. Turned out, Krvavec is extremely close, just couple if kilometers. Perfect place for relaxation after hard trainings. Some time ago I received email saying something like: “Hi, I’m Henna. Do you want to come to Helsinki for couple of days? Will be fun!” Why not, decided I. 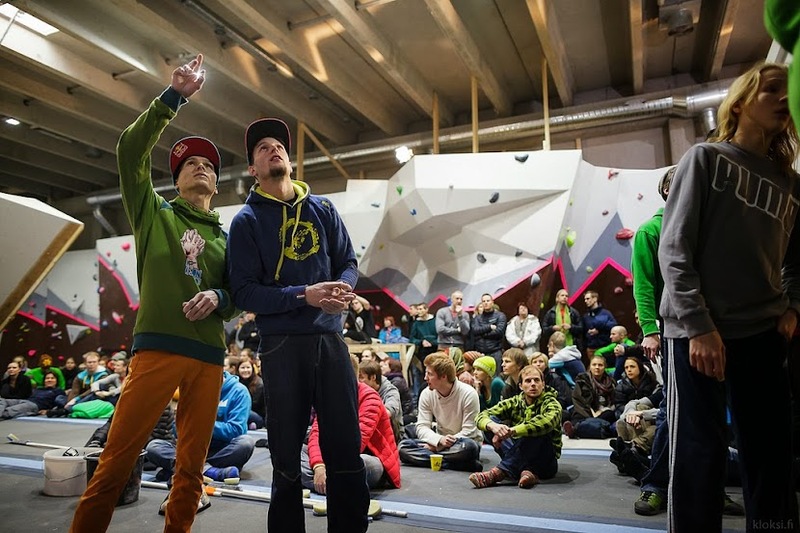 At the end, I participated in competitions coinciding with the opening of the new climbing gym Boulderkeskus in Helsinki. After the comps I gave a talk where I said about my life, trainings and a bit about everything. Also I showed couple of exercises. I’m very glad, that was my first performance like that in English. Boulderkeskus is the place where I could spend all day long. Thanks to incredibly wonderful people Henna and Jarmo. World rests on such people.